The nifty Eeco is loaded with impeccable features and impressive innovations, along with spacious interiors and superior comfort. Versatility is its hallmark, making it the number one car for family outings or work-related activities, and safety is its bedrock, giving you complete peace of mind in every outing. Get ready for comfort and luxury that truly adds to your driving pleasure. The Eeco delights you with unmatched style and happiness all around. Be it a short trip or picnic or a drive to the market, things are always best enjoyed when done with the family. Imagine a car that is designed keeping this in mind. That's Maruti Suzuki Eeco for you! The Maruti Suzuki Eeco, has clear lens headlamps and tail lamps. Besides being very stylish, they provide a brilliant view of the road ahead, as well as clear indication all around. 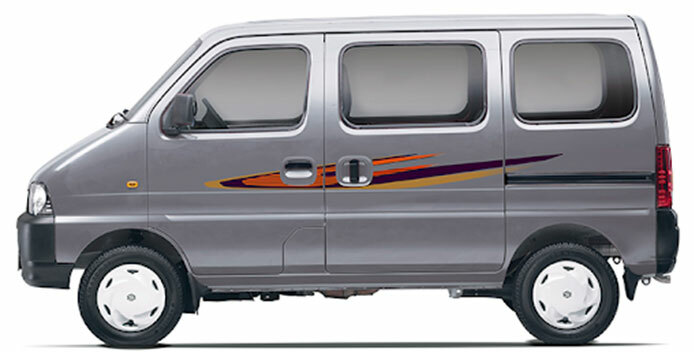 The 5 seater variant comes with a powerful air-conditioner and an accessory socket, making it comfortable and convenient.